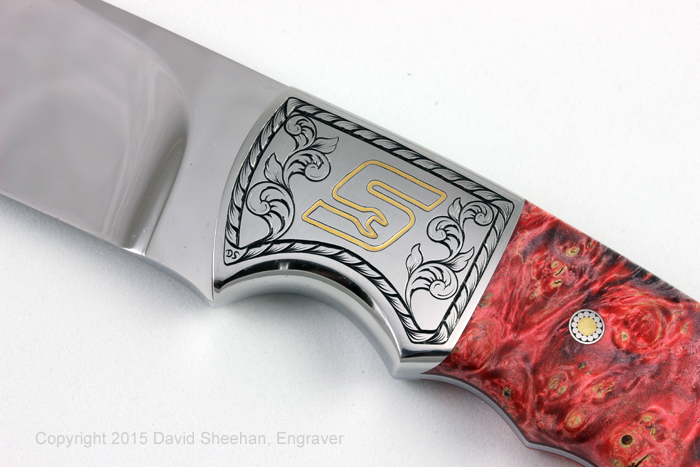 I worked together with renowned knifemaker Russ Kommer on this custom knife for the SnapOn Tool Company to be used as a presentation award at their national convention. 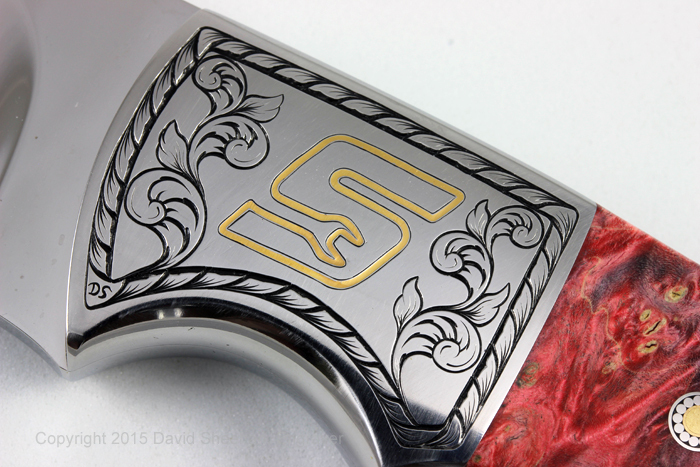 I was asked to hand engrave the stainless steel bolsters and I chose to inlay the SnapOn Logo with 24K gold. 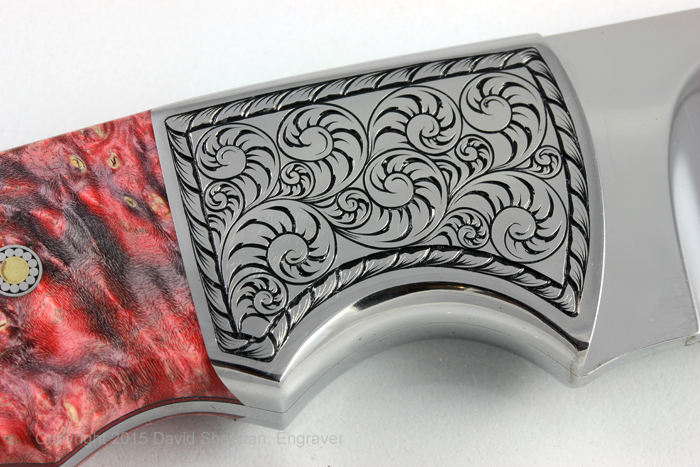 It was well received with lots of nice compliments. 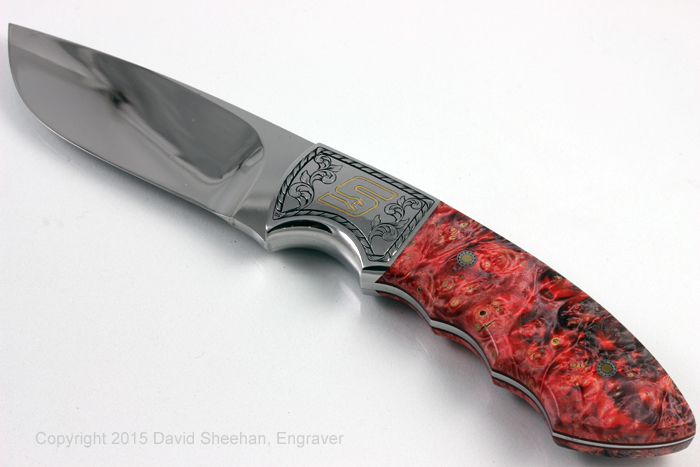 The back of the knife features some english scroll engraving. I really enjoyed this project!